…and so, in our parish, we have blessed the candles and carried the light into the Church – a light to enlighten all nations! And tomorrow at 2pm in the hospital, we shall bless throats. This entry was posted in Uncategorized and tagged Blaise, Blessing, Candlemas, Liturgy, Prayer on February 2, 2015 by stdavidandstpatrick. February 2nd is the feast of the Presentation of the Lord in the Temple, sometimes known as Candlemas. The feast recalls the Jewish purification rites, which would have taken place 40 days after the birth of a child. 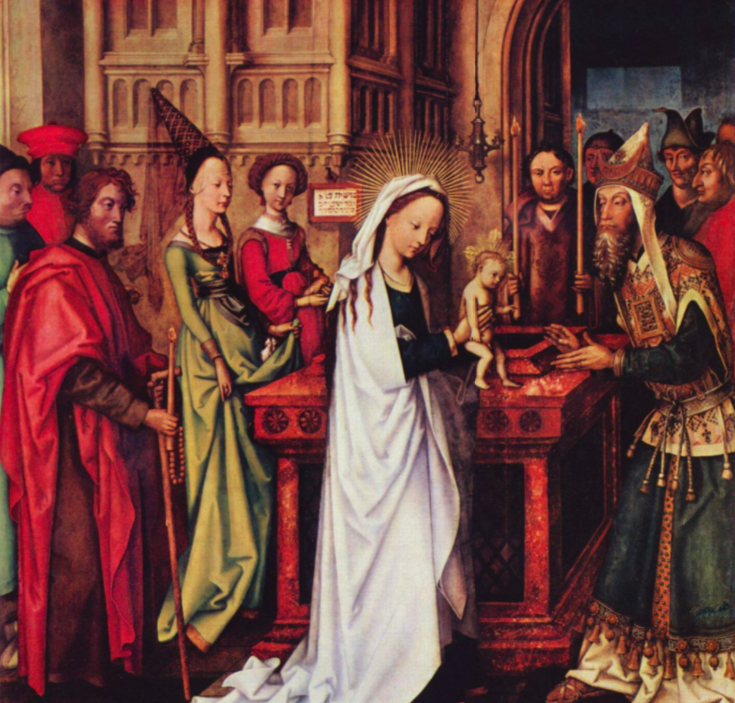 It was on this occasion when Mary offered sacrifices for her and her son’s purification, and also when the Holy Family met Anna and Simeon in the temple. We recall on this day, and on Good Friday, the prophecy of Simeon that “a sword shall pierce you own soul too, so that the secret thoughts of many might be revealed” (Luke 2:34-35). 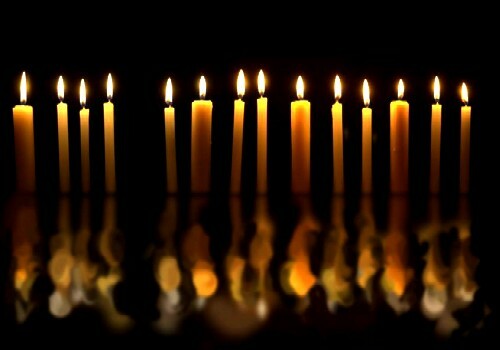 On this day’s Mass, the candles that are to be used for the next liturgical year are blessed, hence the common name for the day ‘Candlemas’. 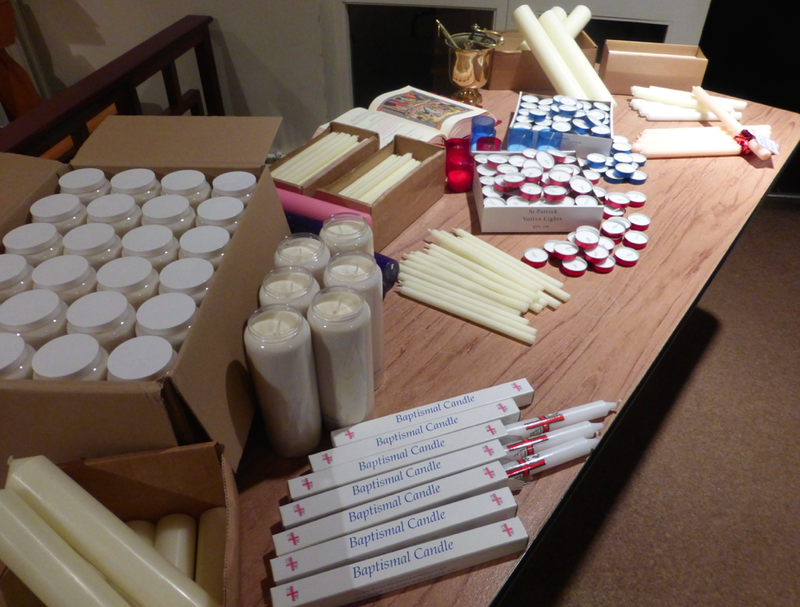 Each member of the congregation also gets to keep a blessed candle for use in their home. Traditionally this candle was used to light the way of the priest from the font door of the home to the sick bed, when he was bringing Holy Communion to the ill and dying. Many still like to keep to this practice and it is not uncommon to be met at the door of the house with a lit candle when arriving with the Blessed Sacrament. Others light their candles in times of strife as an act of prayer– the polish community light their candles in heavy storms and pray for good weather to return. 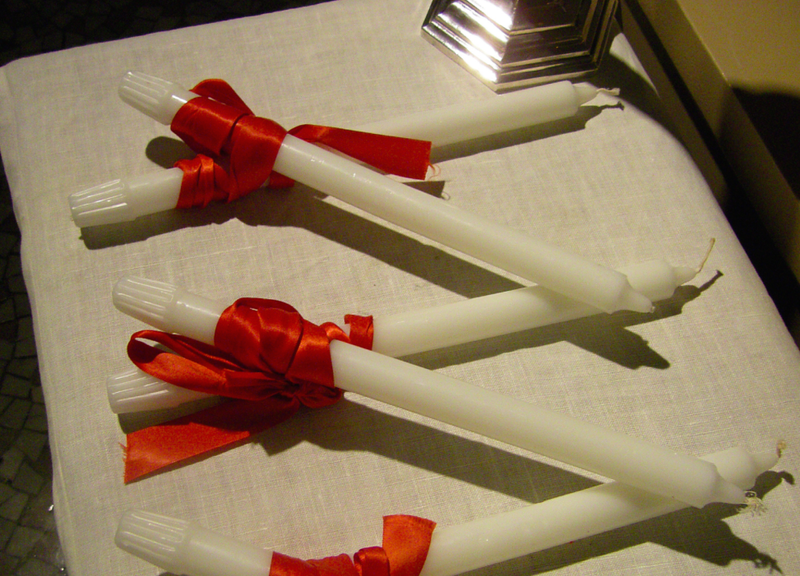 Two of the candles, which are blessed on this day, are then used the following day, February 3rd, the day of Saint Blaise. 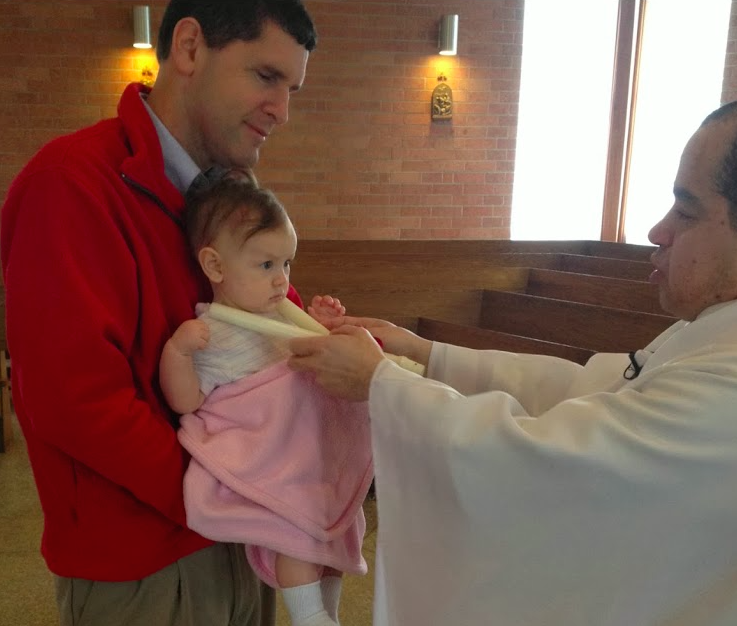 St Blaise cured a child of choking on a fishbone and, as such, he has become the patron saint of illnesses of the throat. 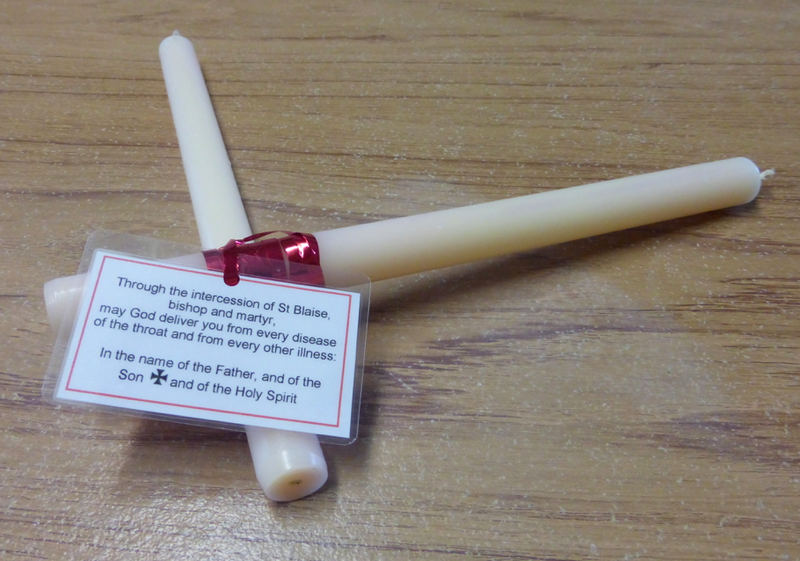 The blessing of throats, by invoking the intercession of St Blaise, is carried out on this day by placing the two candles across the throats of the faithful. This entry was posted in Uncategorized and tagged Blaise, Blessing, Candlemas, Liturgy, Mary, Prayer, Throat on February 1, 2015 by stdavidandstpatrick.